A couple of weeks ago, after publishing the DIY Honey Face Wash, a Live Simply reader commented, “Do you think this could be incorporated into DIY face wipes? Maybe not even disposable ones, but a jar of cloths that I washed regularly. I have gone to bed in make-up a few nights because I was just too tired.” Immediately my head began spinning with DIY possibilities. For this reason and so many more, I love each and every one of you. You’re the reason Live Simply is such an amazing community of like-minded people looking to simplify the often complex world of real food and natural living. Reusable wipes are not a new thing here at Live Simply. Two of my favorite DIYs are the reusable floor and surface wipes. Both are super easy to make and leave my home sparkling clean (which is no small task with two dogs, two kids, one husband, and eight chickens). 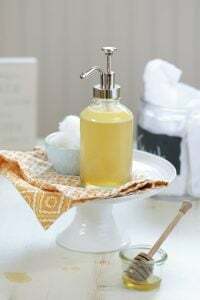 While many people feel overwhelmed with the idea of making homemade cleaners, I’ve found both reusable cleaning recipes require less time and effort to make and use than ordering and/or going to the store for a bottle of cleaner. Plus the savings are quite significant. 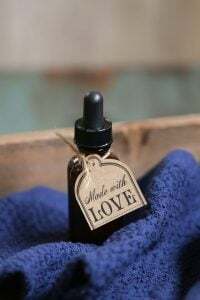 When a homemade product is super simple to maintain and packs major cleaning power, I’m much more likely to incorporate the product into a long-term lifestyle. That’s why you will never find complicated homemade products here at Live Simply. Who’s got time for that? Not this gal. Simple is the name of the game around here. 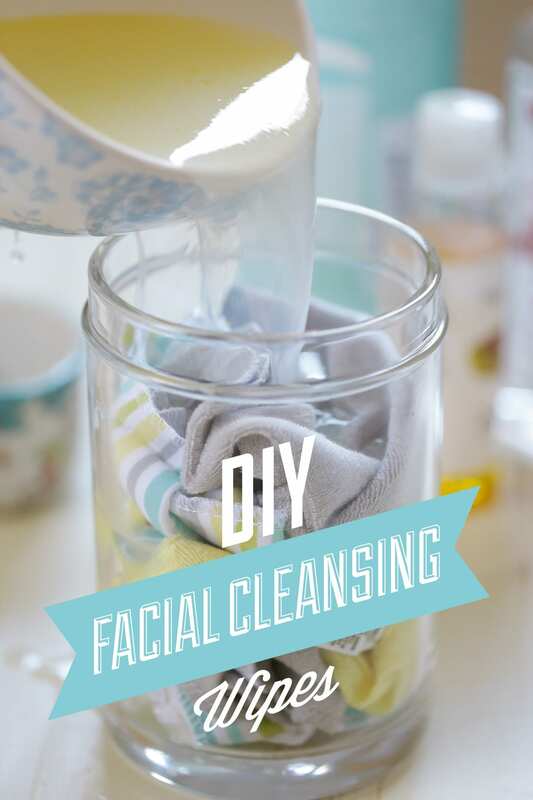 DIY Facial Wipes are the epitome of a simple beauty routine. Baby washcloths are used to make the wipes extra soft, durable, reusable, and affordable. I spent $3.99 for a pack of four washcloths at Target. A simple cleansing solution is then poured over the washcloths. This solution is created by only using four natural ingredients. Let’s take a look..
H2O. Because this solution sits on the counter for weeks, I recommend using distilled or boiled water to keep bacteria from growing. Witch Hazel. Witch hazel is a well-known, natural astringent that’s used to remove excess oil from the skin. Witch hazel is also known for the treatment of acne. Nourishing Oil. Since oil dissolves oil, it’s only natural to add a nourishing oil to a homemade facial cleansing recipe. Castile Soap. One of my favorite multi-purpose DIY ingredients. Castile soap is a concentrated vegetable-based soap with easy to recognize ingredients. I use castile soap for everything from homemade laundry detergent to body wash and hand soap. I recommend using either the Baby Mild Castile Soap or Tea Tree Castile Soap for facial cleansing. The creation of homemade facial wipes came at just the right time. Last weekend our family enjoyed a mini-vacation. We spent one night at a hotel and the following day at Disney World. I didn’t want to pack all of our personal care items for a 12 hour overnight vacation. Instead of packing a face wash or oil bottle, I grabbed two reusable facial cleansing wipes and placed them in a snack-size baggie. The facial wipes were the perfect travel solution! If you travel frequently, these wipes will dramatically reduce the weight and volume of your suitcase. Trust me, I have first-hand experience. My only caution is to skip the castile soap if you don’t have access to water during your travels. 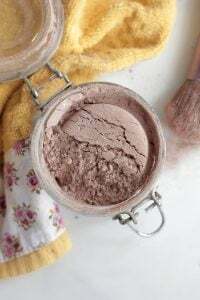 Even if traveling (let alone getting out of the house to go to the grocery store once a week) isn’t your thing right now, DIY Homemade Facial Wipes are an affordable time-saver for removing make-up at the end of the day, or facial cleansing without the need for an actual bottle of soap. 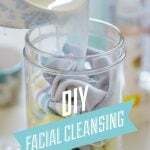 DIY Facial Wipes are the epitome of a simple beauty routine. Baby washcloths are used to make the wipes extra soft, durable, reusable, and affordable. Place the baby washcloths in the storage jar. Set aside. In a medium-size bowl, combine the distilled water, witch hazel, nourishing oil, and castile soap. Pour the liquid solution into the storage jar, covering the baby washcloths with the solution. Press the washcloths down into the liquid. To Use: Remove one washcloth from the jar. Use the washcloth to wash your face and remove make-up and dirt. Rinse the washcloth under warm water and then wipe your face with the clean washcloth. Moisturize your face with a coconut oil moisturizer, lotion, or facial serum. The “where to buy” links provide links to the actual products I use. As always, I recommend shopping around online and at local stores for the best prices and products you love. Find my favorite DIY ingredients and tools, here. When you introduce water into a product without a preservative you always run the risk of introducing bacteria, so use water-based products quickly. We have the citrus Dr. Bronner’s castile soap on hand. Do you think that’d be fine for the face, and maybe just steer clear of the eyes? Hey Sarah, I haven’t tried the citrus castile soap in this face wash, but I believe it will work well. Hi! Is there any substitute for witch hazel? Its just cz there isnt any available in my country…..
Hi! will this remove tough eye makeup? Thanks! Hey Dolores, I wear mascara and eye shadow, and the wipes work great to remove my make-up. Another great make-up remover option is coconut oil on a cloth. Thank you! Will this solution stay fresh? If so for how long have you found it to stay fresh smelling? Thanks! Hey Dolores, For longer use (around 4-6 weeks), I recommend using distilled water. You could also add 1 teaspoon of vitamin E oil to the solution as it’s believed to be a natural preservative. After about 6 weeks I would toss the liquid. Thank you so much, Tamara! I’m so glad you found Live Simply. You’re going to love the facial wipes. They are one of my favorite DIYs and so easy to put together. Enjoy! After using a wipe and rinsing it, do you put it back in the jar? Or does it need to be kept separate and washed before using again? Hey Jessi, I wash the wipes in the washing machine after each use, but you could probably rinse the wipes and use them a couple of times before actually washing them with the laundry. Have you broken down the cost of each batch roughly? Hey Abby, I haven’t because I usually keep all of these ingredients on hand for other DIY projects. I know this is an old comment-but I just made this and was wondering the same thing. Without factoring in the cost of the jar and wipes, it cost me roughly $5/batch. Hey Barbara, I’m not sure of the cost, since it will depend on where the materials are purchased, etc. I keep everything on hand since the ingredients are used in other products in our home, which helps with the overall cost. From my experience, DIYs with natural ingredients are expensive up-front. The true cost effectiveness comes into play in the long-term as nearly all the ingredients used in DIYs may be used to replace other store-bought products. I love this idea! I have been doing this for about 4 weeks now and noticed an improvement in my skin. So simple to make. I will never buy facial wipes any more. One of my favorite things about these, is the ability to tailor the ratio of the ingredients to your skin’s needs. Thanks! That’s awesome, Candy! I’m so glad you’re seeing improvement to your skin!! Love this, not to sound foolish, but why do you rinse after you wash? Would something irritate? Hey Karen, I recommend rinsing because of the castile soap. The soap may dry out the skin. If you skip the soap, rinsing isn’t needed :). Thank you for replying so quickly, i cant wait to try it! I am mainly looking for something to remove the oil on my face during the day (I seem to be getting oilier as I get older). Could I use coconut oil and witch hazel? I don’t plan on using soap, since soap of any kind makes my skin do this funky oily flaking thing lol. Is the water to dilute the witch hazel? Or, since I just want to freshen up mid day, could I just use witch hazel on the cloths? Hey Jennifer, The water dilutes the witch hazel, but you could use witch hazel straight on a cotton ball or baby washcloth. The cost may add up if you use straight witch hazel in this recipe, since it calls for soaking the wipes in the solution. Oil dissolves oil, so it’s added to help cleanse and moisturize the face. Here’s some more info about oil as a cleanser: https://livesimply.me/2014/07/26/clean-face-naturally-oil/. Making these! Is filtered water the same difference? Hey El-e, There is a slight difference between filtered and distilled water. If you’re using filtered water for short-term use (say 10 days), it will be just fine. But if you’d like this batch to last a bit longer, I’d recommend boiling the filtered water first, allowing it to cool, and then adding it to the solution. I have a couple of questions: first, do you cover the jar that is containing the wet washcloths, and second when I added oil to the mixture it turned a cloudy opaque white color, is this normal? Any thoughts? Hey Diana, Yes, I cover the jar containing the washcloths to keep dirt from reaching the wipes. The cloudy opaque color is 100% normal :). Enjoy!! I saw this and thought what a fantastic idea. Could I use a plastic container from baby wipes so I would have it like a pop up one by one container? Thank you, Katie! That’s a great idea. I think the baby wipes container will work great. Hey Charlotte, I love the idea of using these for baby wipes with the addition of aloe vera gel–great idea!! I’m new to your website and to the world of natural beauty and I have really been enjoying reading through your recipes and posts! I was wondering how you travel with these? I know you mentioned in this post that you popped a few in a baggie to take with you. Are you wringing them out before putting them in the bag and how long do you think these would still be useful out of the solution? I’m planning on some extended trips and want to know if you think these would last for a week or two out of the solution. Do you think getting them lightly wet would help before using? Hey Marissa, Welcome to Live Simply! When I transfer the wipes to a baggie from the container, I include a small amount of the solution to keep the cloths damp (not submerged in liquid, just damp)–no wringing is necessary. My longest trip using this method was 6 days. The wipes never dried up and traveled very well. Do you think this recipe would still work without Castile soap? Hey Rachel, Yes, I believe the recipe will still work. You’ll have more of an astringent wipe without the soap. What size storage jar are you using for the cleansing wipes? Hey Ali, I believe it’s a 32oz. jar. Hi Kristen, I started making your wipes about 3 months ago, my husband loves them so much he freaks out when he comes close to running out. I took my left over flannel cut them into 6″ squares rounded the corners with a cup put 2 pieces back to back and stitched them together, they are soft and clean well, we also ziplock our wipes and they go wherever we go. That’s awesome, Teresa! Thank you for sharing. I love that you used leftover flannel–great idea! Hey Kristin. I used to make my own baby wipes with a roll of paper towel cut in half and pouring a similar solution to yours over the top. Could I do that with this as well? It worked great as baby wipes, just wondering what you think. I love these! I just cut up a few old cotton t-shirts for the cloths and they work great! So nice at the end of a busy day to not have to worry about mopping up a counter or spending half and hour just cleaning myself up before bed! Thank you ? That’s awesome, Bethany! Such a great use for old cotton t-shirts! Thanks so much for this great recipe…I’ve often used the Acure argan oil facial wipes or other big brands that boast moisture and aloe, and they tend to strip my skin way too much for daily make-up removal and leave me with dry spots or sensitive skin. Your formula (I opted for bronner’s baby castile, witch hazel with aloe, and jojoba) makes a noticeable difference in the feeling of my skin (smooth and soft!). Initial investment is pricier, but when you factor in the cost of non-reusable wipes in my area ($7-10) It’s well worth it to have a great quality solution that doesn’t hurt my skin with continued use. FYI, I found reusable muslin facial cloths online for less than $4 a 10 pack. I bought a slightly larger jar, and this only needs replenishing once or twice a month…The best part I’ve noticed is that it is super effective at make-up removal…often times with store bought, I have to use 2-3 cloths to get all my eye make-up off, which just adds to the cost savings…such a great DIY, truly. I love the great ideas. Gentle, simple ingredients, & easy to make, and loads less chemicals that I can barely pronounce. Cost effective, the list goes on. Thanks so much! Wonderful, Mary-Ann. It’s so great you’re enjoying the recipe! I saw the suggestion of using a Tea Tree castile soap. While reading on Tea Tree oil I found several mentions not to consume because it can have hallucinatory affects and also stomach cramping. Since in a face wipe all ingredients would be absorbed into the skin at some degree, would it be safe to have Tea Tree oil or scented soap in a face wash? Hey Leah, I wouldn’t ingest tea tree essential oil (or any essential oil, unless under the care of a practitioner), but using tea tree on the skin in appropriate amounts is deemed safe. It’s actually one of the few oils some people apply neat (undiluted) and is very beneficial. Thank you so much for this recipe! I have very oily skin and love how smooth, soft, and CLEAN my face feels when I use these wipes. Every product I have purchased left my skin either very oily or very dry and irritated, especially after continued use. No such problems with these! I bought a couple dozens cloths and just keep a small trash can near the sink to toss them into until laundry day. That’s so great, Theresa! I’m so glad the facial wipes are working so well for you. Thank you for sharing :)! Awesome site. What a wonderful idea. I will try this. Thanks for sharing. Have learned loads from all your DIY items. You are truly are a blessing. No matter your age, your DIY items works for all ages. My new to go DIY site. Love it. Thank you so much, Ana! I’m so glad you’re enjoying Live Simply! Hi there! Can additional oils be added if I don’t have tea tree castle soap? Hey Laura, You could use tea tree essential oil in the recipe, just a few drops. Or use a different variety of castile soap. The tea tree version is just an option :). Wondering if I could add a drop or two of lavender essential oil to this for a nightly routine? I think that would be lovely, Marrin! Great idea! Hey Mary, The number of times you can reuse the wipes will depend on if you wear makeup, etc. Since I used these wipes to clean my face and remove makeup, I only used each wipe a couple of time before washing. HI Kristin! I just came across this post, and I’m looking forward to trying it! One question I have… am I supposed to wring out the liquid first before wiping on my face, or use it as is (i.e. wet and soaked with liquid)? Hey Eileen, I generally wring out the liquid first, and then use the wipe. The wipe should be moist, but not dripping wet :). 1. Do you recommend using the cotton facial cleansing muslin cloths you use to wipe off your aloe and honey cleanser for these reusable facial cleansing wipes? 2. If not, where do you get your baby washcloths? 3. Is grapeseed oil considered a nourishing oil that can be used in this recipe? Hey Susie, I’m so glad you’re enjoying the blog! I think the muslin cloths would work great. They are thin (which is why I love them for washing my face), so you’ll probably need to wring them out a bit before using them (when used in this solution). That said, I’ve mainly used baby washcloths for this recipe. I found the washcloths at Target, in the baby aisle. Grapeseed oil is a fantastic nourishing oil. Aura Cacia makes a grapeseed oil that I’ve used for skincare purposes. Awesome! Thank you so much for responding so quickly. Have a great weekend! Just made this, the witch hazel is a little strong smelling for me even after adding sweet orange essential oil. Any suggestions on calming that sent down? On the super positive note, I just used the solution with my round hemp and cotton scrubbie, and MY SKIN FEELS FABULOUS, and is soft as a baby’s skin. Hey Bianca, That’s so great. You could try adding water to dilute the witch hazel, or adding another EO (like lavender) to help mute the scent. I just made this after finding the perfect glass jar for a bargain at a garage sale today, and they’re wonderful! It made my skin feel so soft. Just one question, when you reuse cloths more than once, do you just rinse it and then put it back in the jar to resoak? Thank you so much! Awesome, Bryna! I’m so glad you’re enjoying the wipes. If I’m wearing makeup, then I’d only use the wipe once before washing it in the washing machine (with a load of laundry). If I’m not wearing makeup, then I’d rinse the wipe and place it back in the jar, reusing it a couple of times. Hi, I always enjoy your diy blogs. I have one question about this recipe. Is there something I could use as a substitute for the witch hazel? In my country it’s almost impossible to come by. Hey Conny, Hmmm, you could add 1-2 tablespoons of apple cider vinegar instead of the witch hazel. It will have a vinegar scent. REALLY like your site! I’m just getting into this & have been reading lots of different sites, keep ending back on yours & comparing your info-I like the way you think & share info. I have used a mixture of 1 part apple cider vinegar & 3 parts water on a cotton pad to clean my face for over 30 years, I’m 66 and still have people comment on my complexion, so I guess it has worked pretty well for me! You have a beautiful family! Thanks for all your wonderful information. Hey Jo Ann, Thank you so much for the sweet compliment. I’m honored that you keep ending up back at Live Simply :). That’s so awesome about your skincare routine. I love that you’ve been using such simple ingredients, and the results have been so fantastic! What a great testimony to using simply, pure ingredients. Thank you Kristin for all of your great recipes and tips! I have a question about distilled water. I have a gallon jug that I bought to use with these types of recipes, but it has been sitting on the counter for several months, as I usually only need a cup at a time. Do you think that this is ok, or do you know if affects the way they bacteria could grow? Hey Elizabeth, I’m not 100% sure, but if it’s been sealed and properly handled (not dipping hands or dirty in the water), then I think it should be fine. What size jar do you use? Would a quart size mason jar be big enough? Hey Amber, A quart size jar will definitely work! My jar is slightly smaller than a quart-size jar. Hi, I’m loving your website, just found this recipe. Is it ok to top the jar up with a bit more water, the mixture doesn’t seem to cover my wash cloths, but I don’t want to weaken the mixture and take away the good effects. Thanks. Hey Renee, Yes, you can do that! Thank you! Wow! I just tried it, it works so amazingly and is so much cheaper than the ones at stores thank you for this quick diy……..?? Hey Zainab, Awesome! I’m so glad you’re enjoying them. Hey Dee, You could put it in plastic, especially since the wipes and solution will be changed fairly often. Generally, my concern is with anything stored for a while. I have made these for my 8 and 10 year old girls and they just love it! (I do too!). I am having trouble with the oil separating quite a bit from the rest of the ingredients. Is there anything I can do to lessen this? Hey Tiffany, I’m glad you all are enjoying the face wipes! There’s not much you can do about the oil since an emulsifier isn’t used–separation is common for natural products like this. If possible, shake the jar before using. The only other option is to skip the oil next time. Awesome, Sandi! Thank you :). I usually never read the whole narrative, but you are a fabulous writer! Thank you for the lovely DIY! We have hard water and Castille soap leaves an oily film on everything. Is there another soap I can use as a substitute? Hey Carolyn, Sal Suds should work great for you! Is Sal Suds safe to use on skin? I thought it was a household detergent? Hey Carolyn, Oops, I thought you were referring to cleaning :). Yes, it’s for cleaning, not to use on the skin as a skincare product. For the skin, my best advice to dilute the castile even more than a recipe calls for. LOVE THIS! Quick question, I used disposable wipes since I travel overseas a lot in areas that don’t have access to laundry easily. Right now I have them soaking in a mason jar. I’m planning on transferring the wipes to a baby wipe container to take with me. Do I put the mixture in the container with the wipes after they’ve soaked, or will they be fine without the mixture ? Hey Sarah, Perfect! Hmmmm, that depends on how long you’ll need them to stay moist. I would add just a small amount of liquid, if they will need to stay moist for a few days. Maybe 1 tablespoon worth of liquid? I’m interested in trying this! Is this effective at removing both mascara and eye liner? And is this irritating to the eyes? I have eczema on my face and cannot really use any kind of towelettes or facewash because my skin is so sensitive. All these ingredients seem to be natural. Have you had anyone comment with eczema? Hey! Love this post. I was wondering if anyone has unlocked a recipe for a DIY version of Olay’s water activated cleansing cloths? I CANNOT figure it out, but I think they’d be helpful for when I travel (which is a lot). I don’t typically like to use disposable wipes, but the reusable ones are a major pain to travel with for me. What are your thoughts? How long could the cleansing mixture sit for before bacteria grows once waters added? If i added oregano oil into the mixture, would that perserve it? How do you know when the mixtures gone bad. Hey Leah, I can’t say for sure a time frame since this will depend on many factors. That’s why I recommend working in small batches when it comes to homemade products. I’m not sure how much oregano oil would be needed to preserve the amount of liquid used here. You could skip the water and use witch hazel instead. This would be my recommendation for extending the “life” of the mixture.